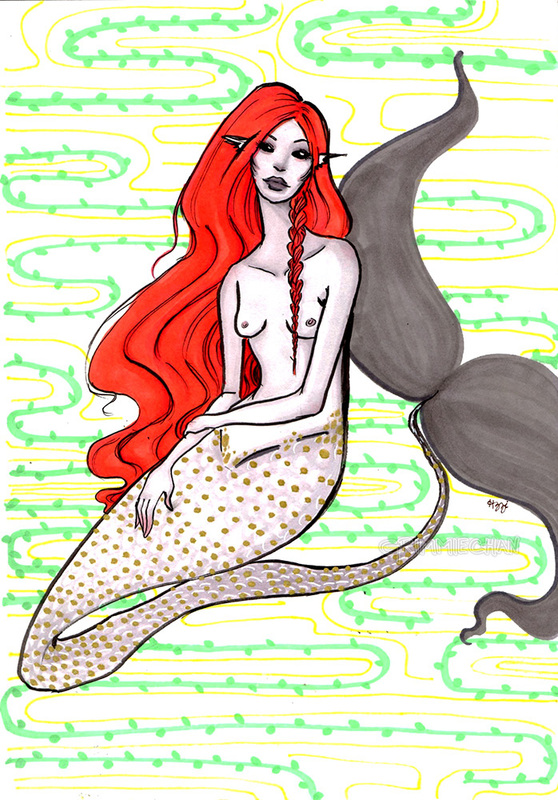 I’m pretty sure I’ve mentioned before that I have a tendency to draw mermaids more as an adult than as a child or teen. If you crawl through the mermaid tag, you’ll see that this tends to be true (and these are only ones that I’ve scanned and willingly uploaded). There’s quite a bit more than have infiltrated my sketchbooks as well that don’t see the light of day (except in my sketchbook videos). As I work towards making an effort to draw and color more backgrounds, abstract backgrounds have found their place in my art. I don’t hate it.